All of the plant-based noms. 1. Dairy-free chocolate chips that are perfect for baking and snacking. Promising Review: "As a vegan who doesn't mind avoiding soy when I can, I love these chocolate chips. As a chocolate lover, I LOVE THESE CHOCOLATE CHIPS. I use them for everything - even to top a peanut butter sandwich, a little time in the toaster oven to melt... My kids love these chocolate chips. They beg me to eat them straight when I'm making pancakes, or even just for dessert some nights. 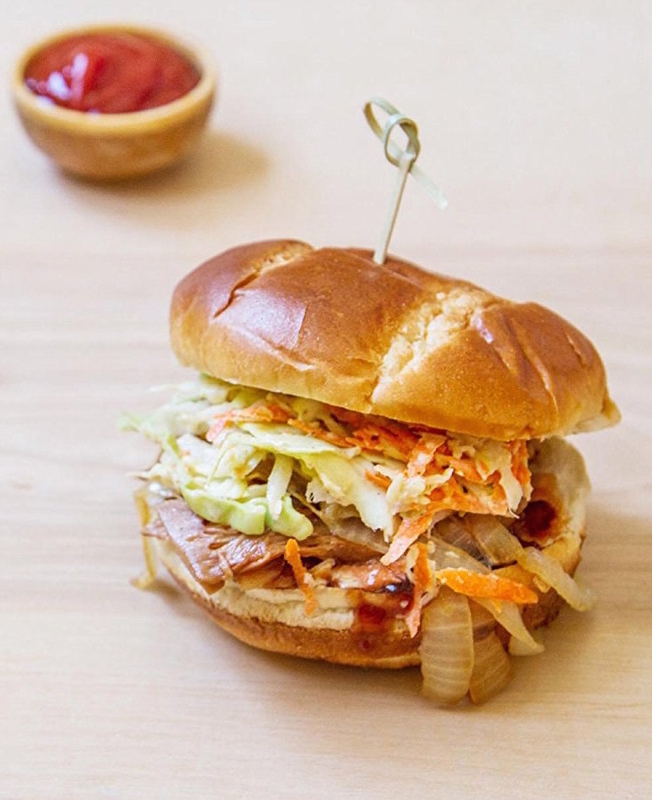 They're simply delicious; versatile and vegan/allergen-free is a serious bonus." — Miki H.
Get them on Amazon for $4.29 per bag. 2. Instant soups you can take anywhere and make anywhere you can find hot water. 3. 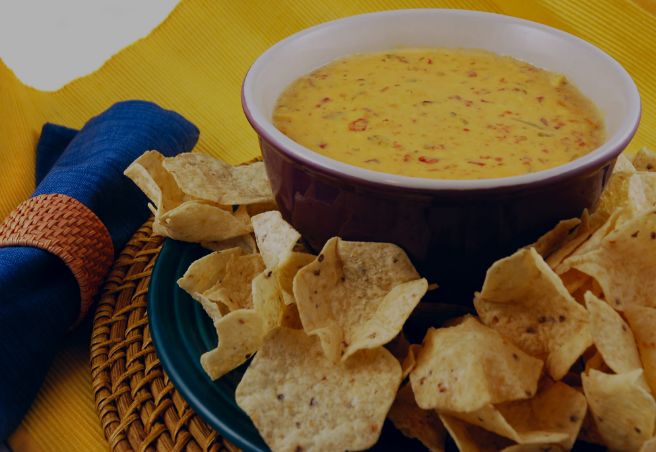 A spicy queso that's cashew-based. 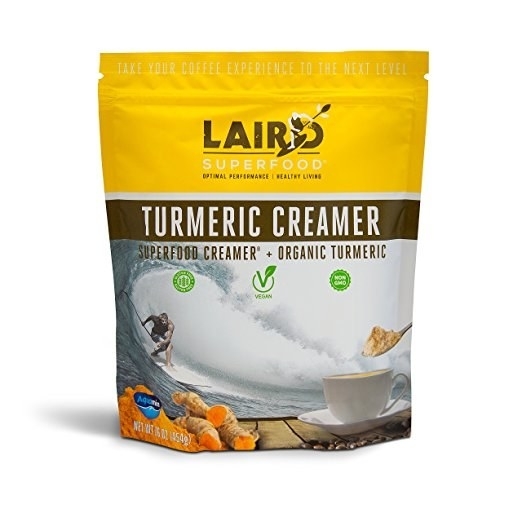 Promising Review: "I love this product. I am not a vegan or even vegetarian. But, I try to eat healthy and try to avoid dairy. BUT, I do love cheese and especially cheese dip! This is a good product and I was amazed at the flavor. Not weird or gross at all! :) These ingredients are healthy and I have no guilt with it! I make a small portion for myself and found it to be the same whether I cook on stove or microwave so I just do that. I have only eaten with chips but would be great on veggies and potatoes. It is quite spicy, even for me and I love spicy!" — Pink M.
4. 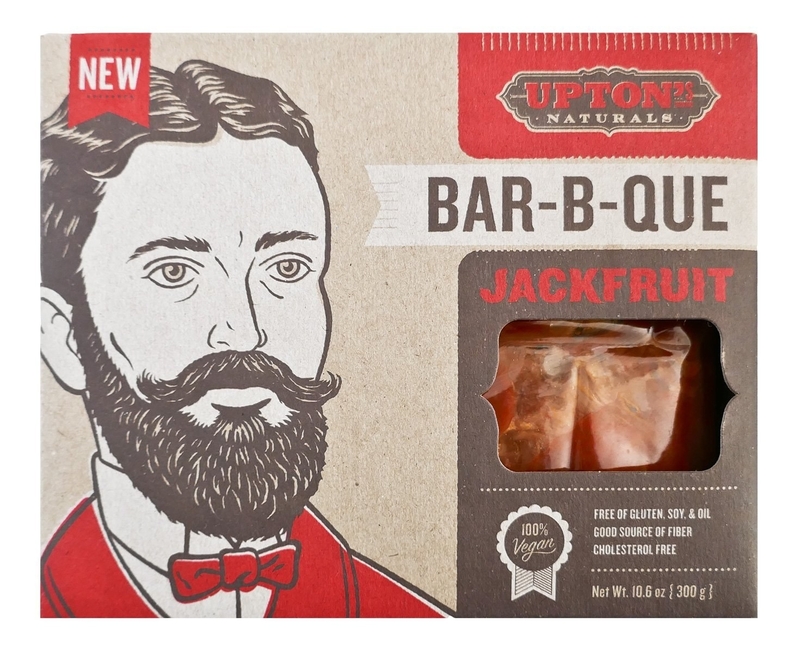 A ~trendy~ meat substitute that's ready to eat whenever you are — jackfruit! 5. Tasty macaroons you won't be able to put down. 6. Chocolate-covered candies that taste so good you won't believe they aren't actual milk chocolate. 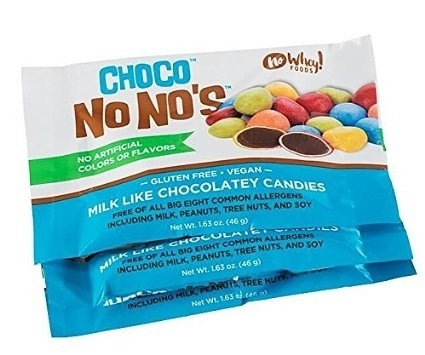 Promising Review: "The Choco NoNos are great! 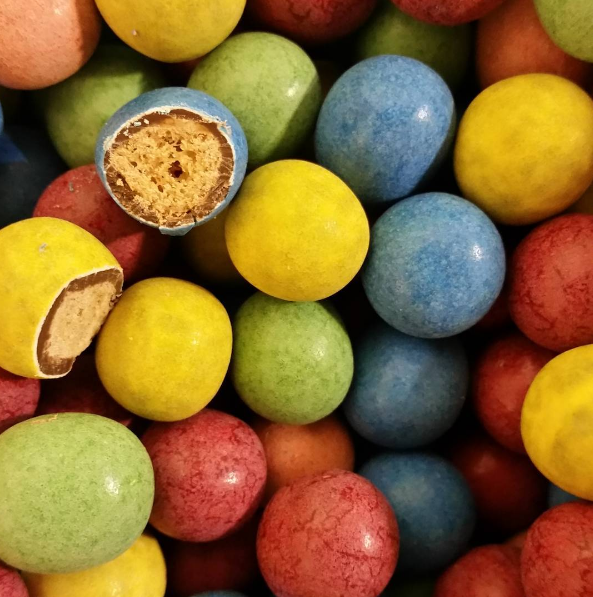 They have a crunchy shell similar to M&Ms but instead of artificial coloring it is made using natural colors (Fruit and vegetable juices). We are a vegan family so I was very happy to find a crunchy sweet treat that my kids love. We use it them mostly to replace milk chocolate covered candy in our egg and dairy free version of some of our family cookie recipes. The kids have brought them to class parties and their classmates enjoy them too. They've certainly been kid tested and approved! We also really enjoy the peanut butter version." — Michelle G.
7. 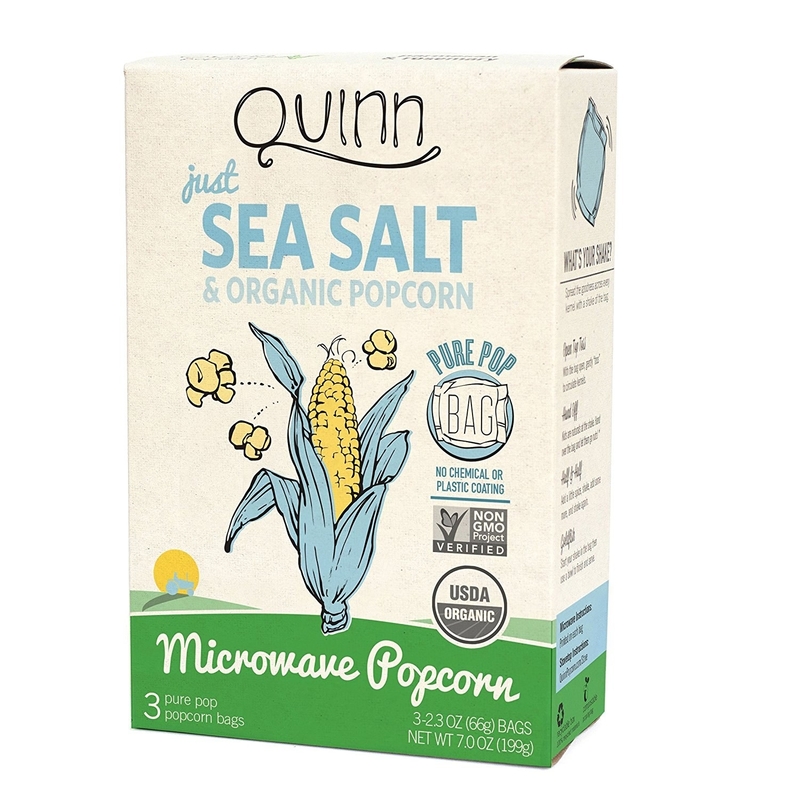 Organic popcorn with sea salt that you can microwave at home. 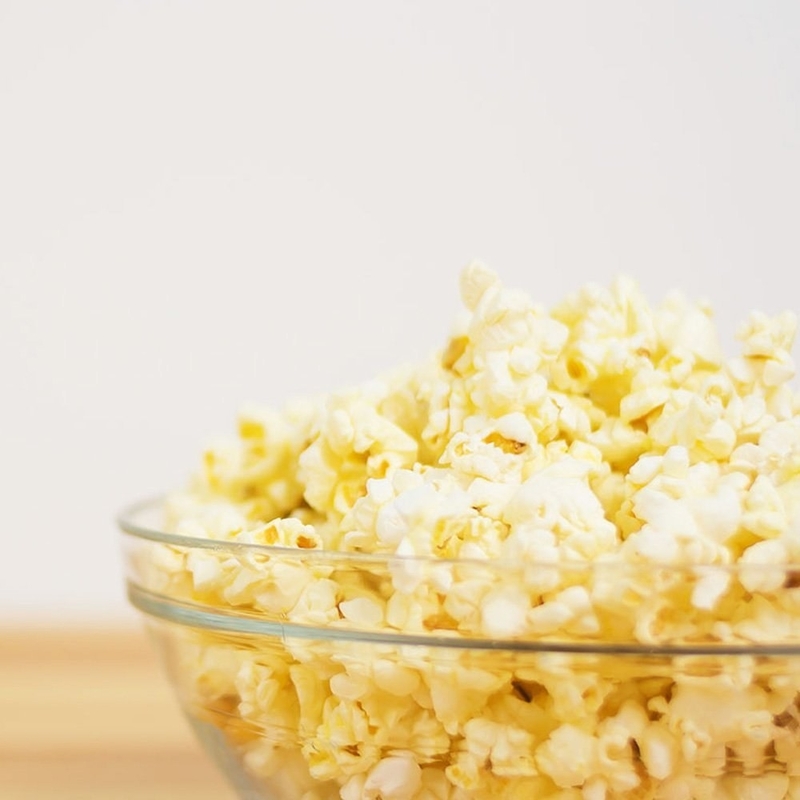 Promising Review: "The bottom line is that this is really tasty popcorn without the chemical bag lining of other brands. It is a bit more involved, since you drizzle a pouch of sunflower oil and powdered butter on the corn after it is popped (both included), but it is really delicious. It is worth noting that there are only two bags per box, so it gets more expensive than other brands. But you're getting something for your money; in addition to the great taste is the lack of a chemical liner for the bag." — David P.
Get it from Amazon for $5.27. 8. Gluten free, vegan pastas made from rice, lentils, and chickpeas. Promising Review: "Cooks and tastes like "regular" pasta, but look at those numbers: 11g protein, 3gm fiber, 15% of the mdr for iron. And it's made of only two ingredients: organic red lentil flour and organic brown rice flour. Perfect!" — Stuart D.
Get a 3-pack from Amazon for $21.94. 9. 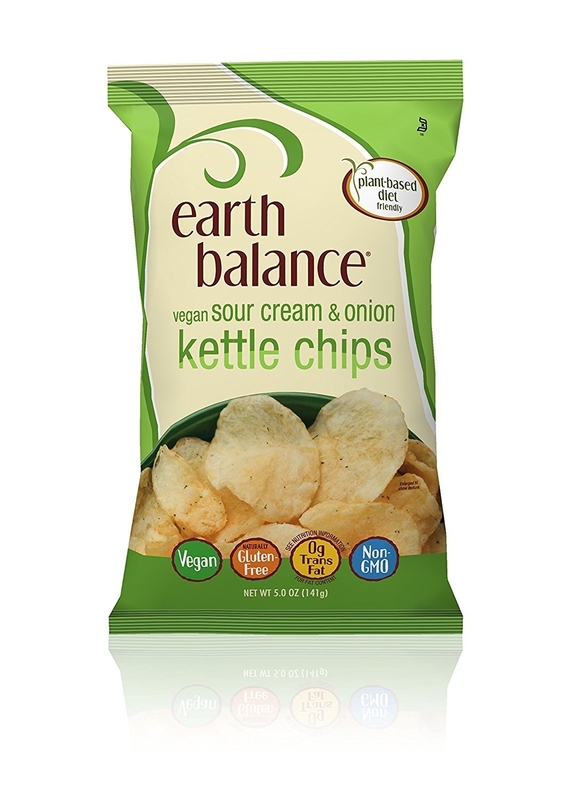 These sour cream & onion kettle chips, which are arguably the best-tasting vegan chips of all time. 10. A variety of juices you can feel good about drinking. 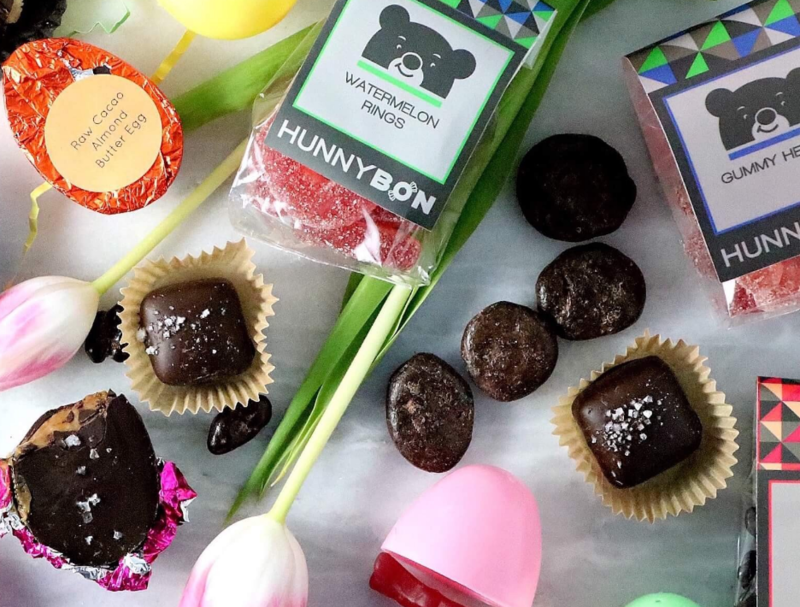 Get the bears (and other vegan goodness) from Hunnybon. 12. 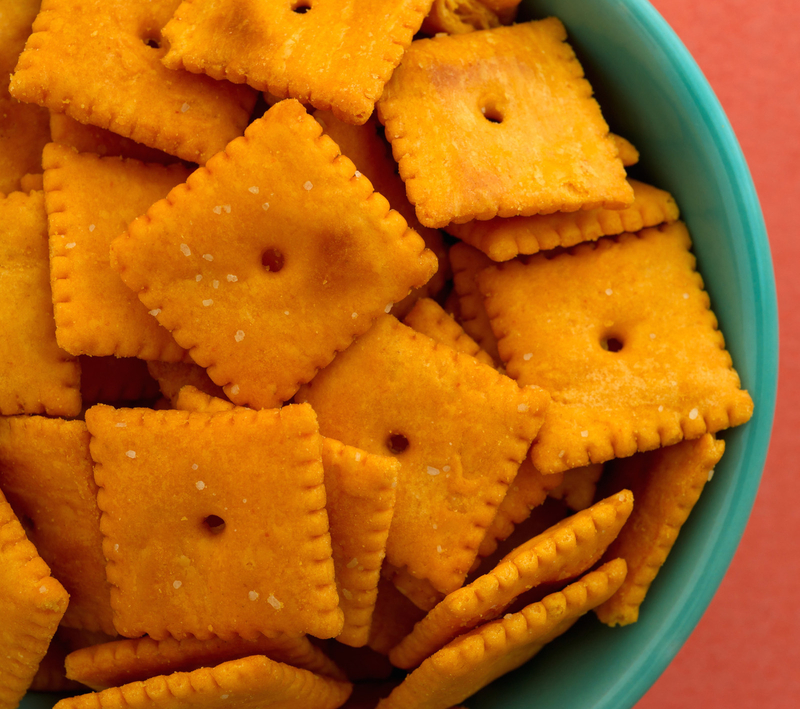 The veganized version of Cheez-It crackers. 13. 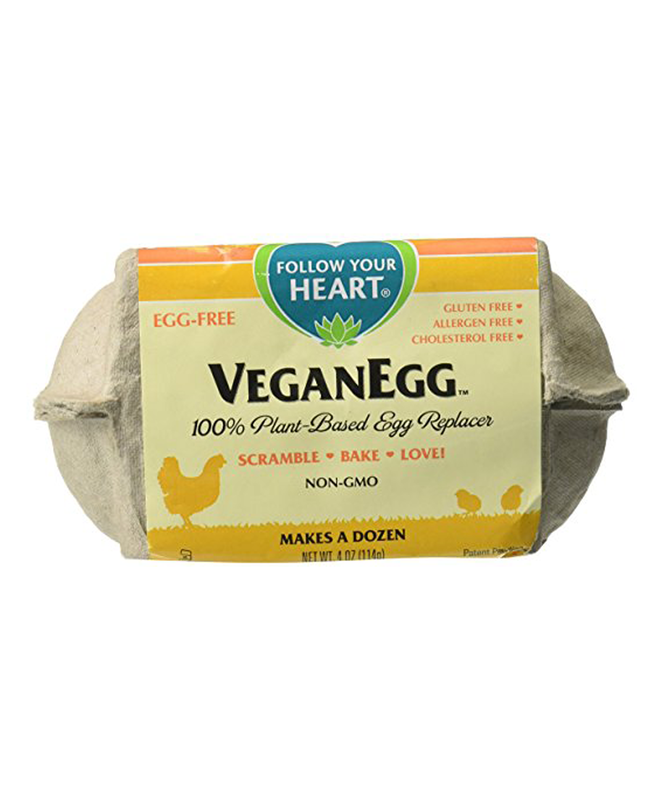 Make the omelets and frittatas of your dreams with the VeganEgg. Promising Review: "I have been vegan for 25 years. I have tried virtually every commercial vegan egg substitute and made more types of scrambled tofu and vegan omelets than I can count. So, I think I'm pretty well informed when it comes to gauging whether this is a worthwhile substitute for real eggs. My verdict is... this is AMAZING. They nailed it! 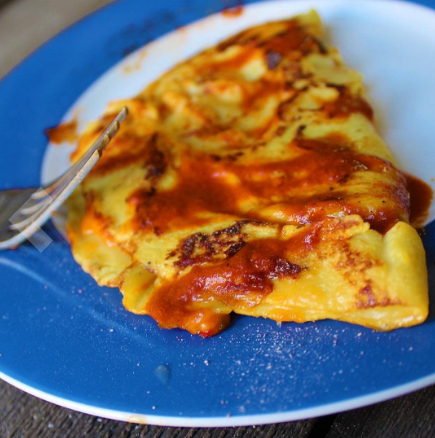 The texture is just like real scrambled eggs, and the taste, while a bit bland is excellent." — Robert P.
14. Coconut crisps that'll satisfy both your sweet and savory cravings. Promising Review: "Love all of Go Raw's products & this is equally as good! Toasted crunchy coconut bites that melt in your mouth. Yum! Great healthy snack! All the FLAVORS are great!!" — Lisa E.
Get a 3-pack of each flavor from Amazon for $29.83. 15. 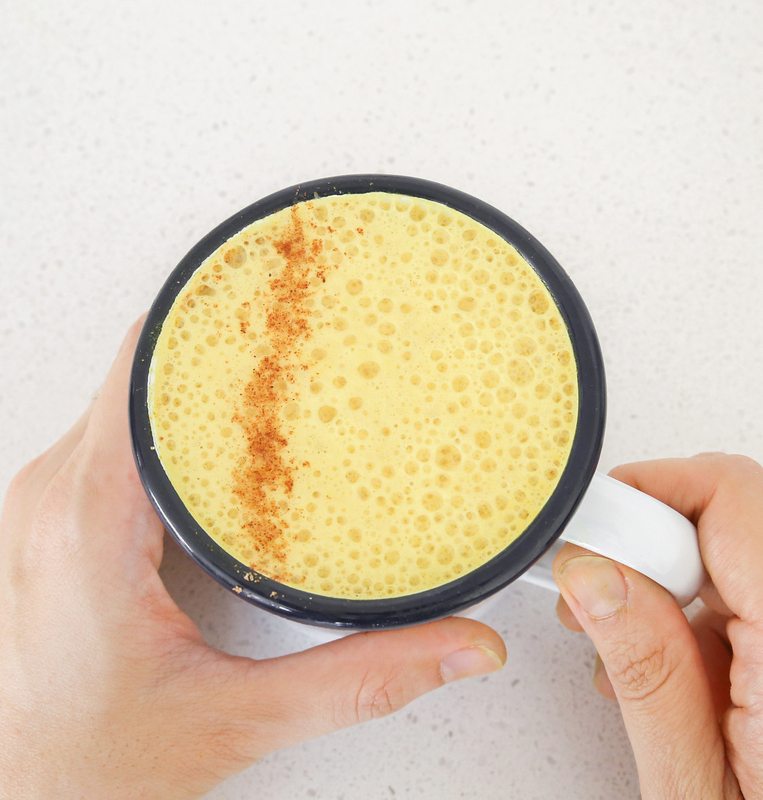 A mix to make turmeric lattes at home. Promising Review: "Treat yourself. I don't care how much this product costs, I travel both for a living and for pleasure, and this magical powder is my special treat when I'm far far away from home in some Airbnb with instant coffee. It makes me feel amazing." — Le Petit O. 16. Double chocolate chip cookies that are both vegan and gluten free. 17. Vegan "Parmesan Cheese" you can sprinkle on pasta, pizza, potatoes, and popcorn. Promising Review: "Parma cheese is a staple in my condiments. 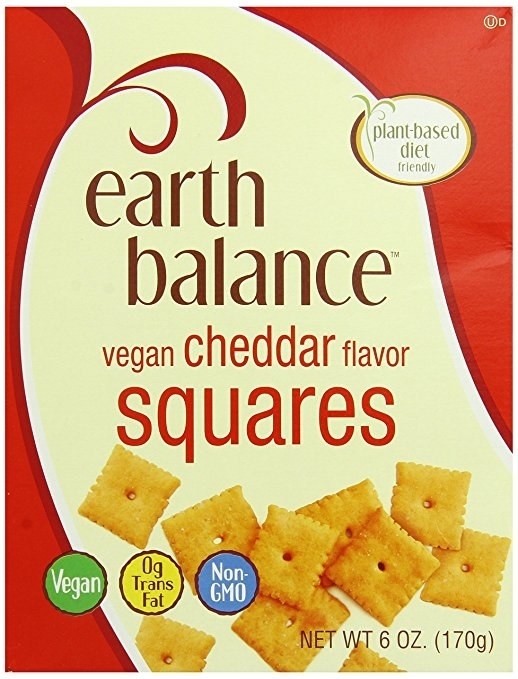 I have been vegan for quite awhile and have tried several parmesan cheese alternatives...all which have made me gag. Parma is awesome because of its texture and flavor — I blow through it pretty quickly because I put it on so many different things. Pasta, popcorn, salads, etc. So satisfying without any animal cruelty involved!" — Shawna S.
18. Gluten free and vegan chips and popcorn you can take on the go. 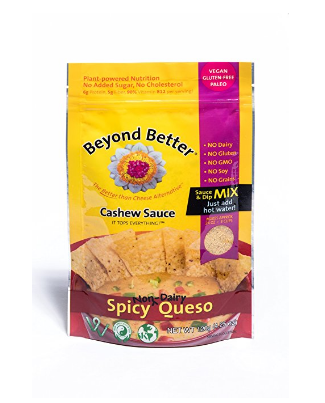 Promising Review: "I thought they were just a whole grain tortilla chip, then I read the packaging and they are gluten free and vegan. I liked the shape and thickness of the chips. I didn't taste any turmeric or pumpkin flavors as the package claims. They were great for holding dip/guacamole with out the chip breaking. 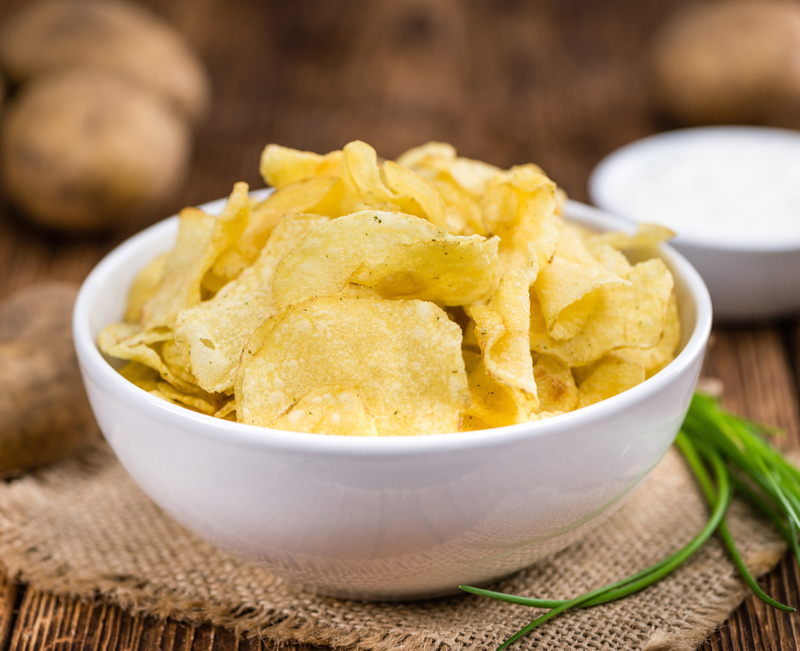 Much lower in fat and calories than regular chips. I would buy them again." — Melissa E.
Get a 12-pack from Amazon for $20.80. 19. Marshmallows that melt and taste just like the real thing. 20. Meatless vegan jerky in every flavor you'd ever need. Get the sampler pack from Amazon for $16.49. 21. Dark chocolate that's organic and made from fair trade ingredients. Get a 12-pack from Amazon for $49.99. 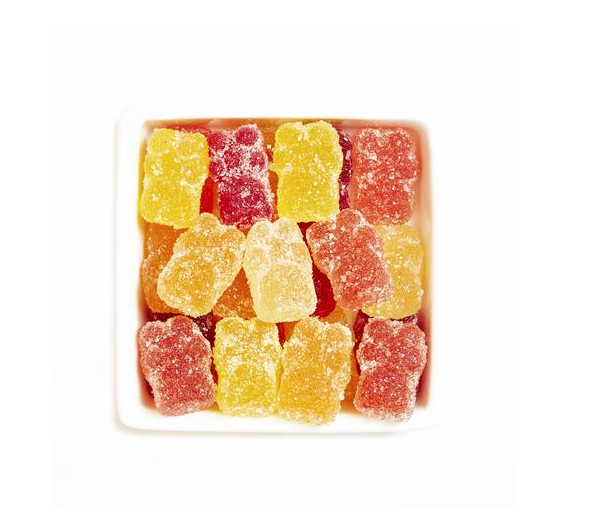 The original gummy bears listed have been removed because they were not vegan.